Will Moscow deploy ‘carrier killer’ submarine? USS Harry S. Truman departs Norfolk, heading for the Mediterranean. Photo: US Navy. The situation remains tense at sea and is likely to become more so when the USS Harry S. Truman Carrier Strike Group (CSG) reaches the Mediterranean sometime within the next week. The USA and its allies will be maintaining keen surveillance of Moscow’s key striking force, the Kola Peninsula-based Northern Fleet. Should President Vladimir Putin order a surge of submarines from the Northern Fleet to meet the Harry S. Truman CSG the options include the Oscar II Class ‘carrier killer’ submarine Oryol, which last year emerged from a major refit. 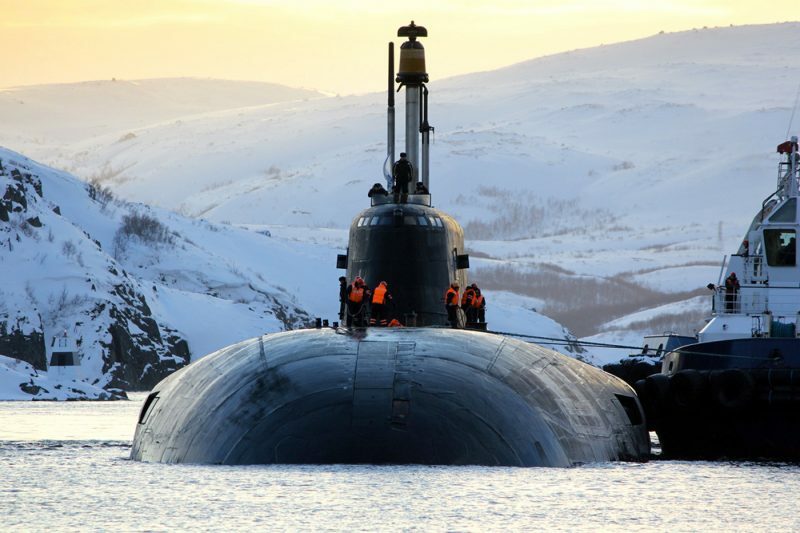 The 24,000 tons (dived) submarine is now armed with 3M-54 Kalibr land-attack and anti-shipping cruise missiles. Meanwhile, it has been business as usual for the Russian Navy’s shuttle of weaponry, troops and other supplies to Syria despite the US-led cruise missile and strike jet assault on targets thought to be key to the Assad regime’s chemical warfare ability. The Northern Fleet nuclear-powered Oscar II Class ‘carrier killer’ submarine Oryol returning to her base in the Kola Peninsula after her major upgrade. Photo: Russian defence ministry. 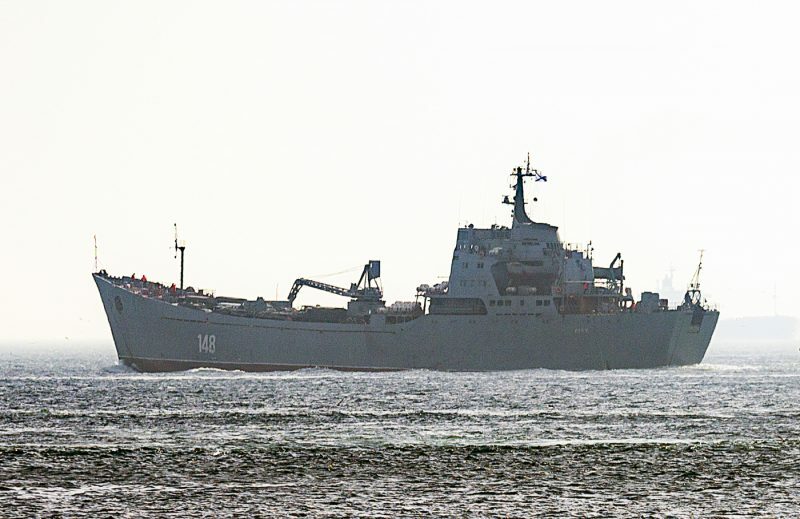 Between April 13 and 15 two Alligator Class large landing ships and a Ro-Ro vessel chartered by the Kremlin made transits after heavy fog earlier interrupted traffic through Bosphorus. As with other vessels that have participated since 2015 in the so-called Syrian Express, these ships were clearly loaded with armoured vehicles, trucks and assorted military equipment. Having late last week ordered all vessels in the major naval support facility of Tartus to deploy – to avoid being caught in port by strikes – the Russians have fully returned to buttressing the Damascus government in its fight against rebels. When the attack came last weekend, it avoided hitting any targets within the Russian Air Defence zone, ensuring that the situation did not escalate beyond punitive action to degrade the Assad regime’s chemical weapons arsenal. With potential to evolve into the worst confrontation between the USA and Russia since the Cuban Missile Crisis of late 1962, the use of back channels between the two countries’ defence officials reportedly kept the action precise and prevented it spinning out of control. The Marine Nationale frigate FNS Languedoc launching a cruise missile against a target in Syria. Photo: French defence ministry. As was the case during the old Cold War, one arena where the stakes are very high is at sea, or rather under it. Last week, when the Russians ordered their 11 vessels to exit Tartus, and distribute themselves defensively, among them was an Improved Kilo Class submarine. Another of the conventionally powered vessels was said to be already on patrol, hidden under the ocean. Extremely stealthy when submerged on battery power, the Improved Kilos have already proved adept at firing Kalibr land-attack missiles against targets in Syria. Six Improved Kilo Class submarines were constructed between 2010 and 2016 especially for the Black Sea Fleet (BSF), with better engines than Cold War era Kilos, advanced sensors, improved noise reduction and enhanced combat management systems. Four of the Improved Kilos – Rostov-na-Donu, Krasnodar, Veliky Novgorod and Kolpino – have since 2015 fired their cruise missiles in anger to support the Russian intervention in Syria. All except Kolpino and Veliky Novgorod have passed through Turkish Straits and entered the Black Sea. The Treaty of Montreux forbids submarines to be deployed out of the Black Sea for combat operations. For operational flexibility, Russia has therefore retained Kolpino and Veliky Novgorod in the Mediterranean, despite being nominally assigned to the BSF. They operate from Tartus in Syria while the other four Improved Kilos – operating relatively safely under the Russian anti-access/area-denial protective umbrella over the Black Sea – can potentially strike targets well inside the region, as well as in Europe, Central Asia, and the Middle East. 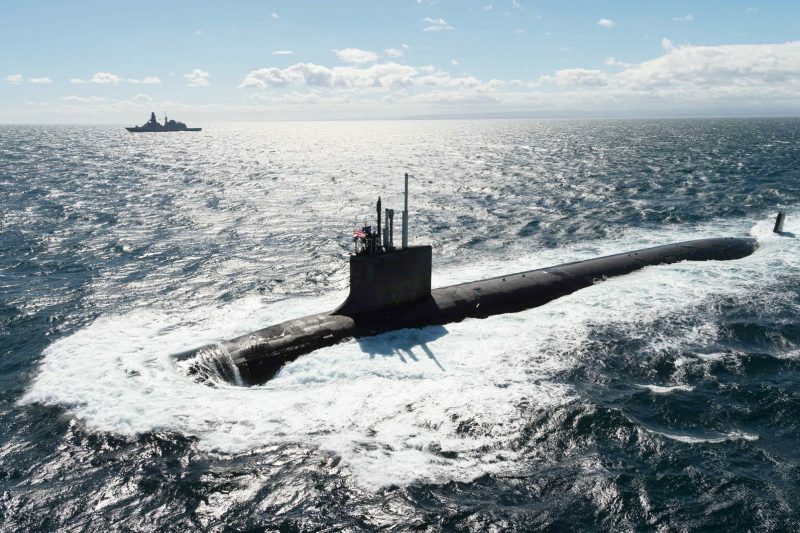 There was much speculation ahead of the strike last week about how US Navy and British submarines might be used. In the end the option of launching a mass bombardment from a USN Ohio Class guided-missile submarine (capable of firing up to 154 Tomahawk Land Attack Missiles, or TLAM) was not picked. 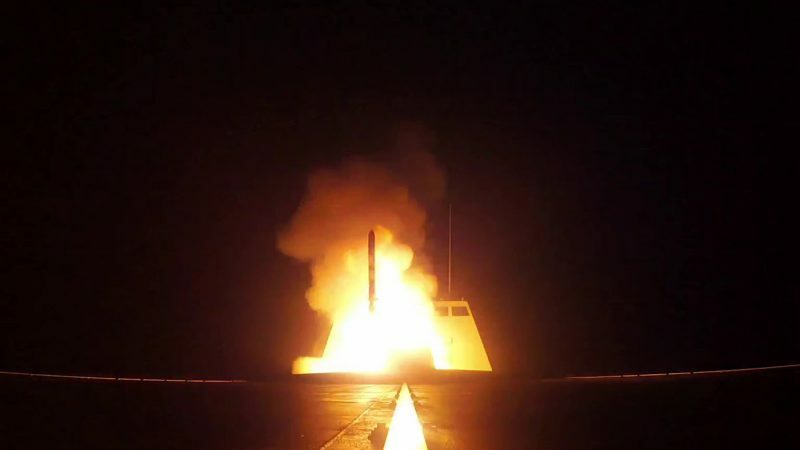 Instead the Virginia Class attack submarine (SSN) John Warner fired six missiles at targets in Syria, while the rest of the cruise missile strikes were handled by US Navy surface warships and a French Navy frigate. The US Navy attack submarine USS John Warner in the Mediterranean. She has since launched cruise missiles against targets in Syria. Photo: NATO. Expected participation by a British attack submarine did not happen, despite Royal Navy boats being available for operations. It was alleged up to two British SSNs could be in the Mediterranean, with The Sunday Times newspaper in the UK claiming that an Astute Class SSN became locked in shadow boxing with one (or both) of the Improved Kilos. Therefore, she could not expose herself to further risk by trying to fire TLAMs, according to The Sunday Times. It was also surely sensible to have SSNs on protection duties for surface vessels and USS John Warner, although none of the American (surface warship) shooters fired from the Mediterranean. 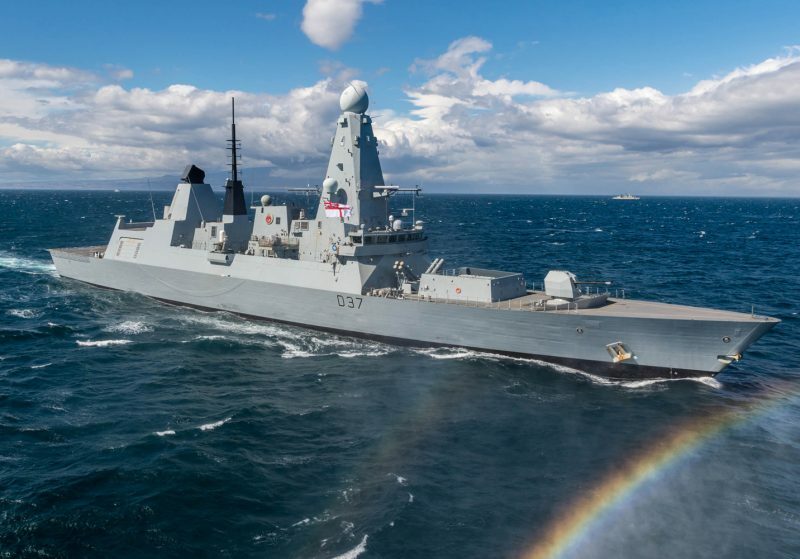 There was, however, at least one US Navy destroyer in the eastern Mediterranean (USS Donald Cook) and the British air-defence destroyer HMS Duncan. The latter was probably assigned to protecting Cyprus and the airbase at Akrotiri from which the Royal Air Force (RAF) sortied Tornado bombers and Typhoon fighters. The Tornados launched eight Storm Shadow missiles against targets in Syria. Storm Shadow has a much shorter range than TLAM but a more sophisticated warhead designed specifically to penetrate hardened bunkers. TLAM produces a much wider blast effect like a conventional bomb. It is possible that the RAF was tasked with hitting a few select hardened targets for which Storm Shadow was best suited. HMS Duncan was allegedly stationed south-east of Cyprus, which suggested the UK Ministry of Defence was concerned that Assad might be tempted to launch a retaliatory attack on RAF Akrotiri with Tactical Ballistic Missiles (TBMs). For both sides, the crisis erupted when they were least well prepared at sea to take major action, which is probably just as well. 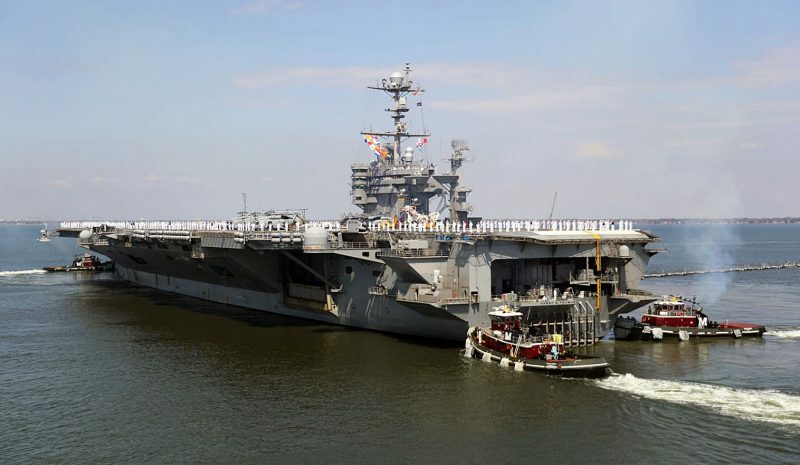 It is rare for a US Navy strike carrier not to be close at hand but the USN is under a lot of pressure right now, what with North Korea and Chinese challenges, hence the deployment of USS Harry S. Truman and her CSG all the way from the east coast of the USA in response. Similarly, when it came to the Marine Nationale, the nuclear-powered strike carrier FNS Charles de Gaulle was not available either, as she is in the middle of a refit. The UK’s new carriers are years away from being capable of sustained strike operations. The most capable surface vessels the Russians had at hand were the new frigates Admiral Grigorovich and Admiral Essen, which were on deployment ahead of the crisis. However, Admiral Grigorovich had not long before passed through the Suez Canal southbound and was rumoured to still be in the Red Sea. That left a single modern frigate of the Russian Navy and a few old surface combatants to face down what was likely to be a much more capable US-UK-French flotilla. Meanwhile, Standing NATO Maritime Group 2 (SNMG), for which HMS Duncan was flagship until she switched to UK-only tasking, was also likely to be in the central or eastern Mediterranean. Duncan and SNMG2 had recently participated in the big Anti-submarine Warfare (ASW) Exercise Dynamic Manta. The British air-defence destroyer HMS Duncan on patrol with NATO in the Mediterranean. Photo: NATO. For more on Dynamic Manta, including an interview with the head of NATO submarine forces about how the Alliance is seeking to counter the rising submarine threat, buy the May edition of WARSHIPS IFR, out April 20.